Randy has practiced financial Planning as a Certified Financial Planner™ practitioner in Columbus, Ohio for over thirty-five years. He has conducted numerous financial lectures throughout Columbus and has contributed to programs aired on WBNS-TV and WCVO 104.9 FM radio. In addition, he has contributed to articles published by the Columbus Dispatch and served on the boards of two financial planning organizations. His practice specializes in working with individuals and couples contemplating retirement. 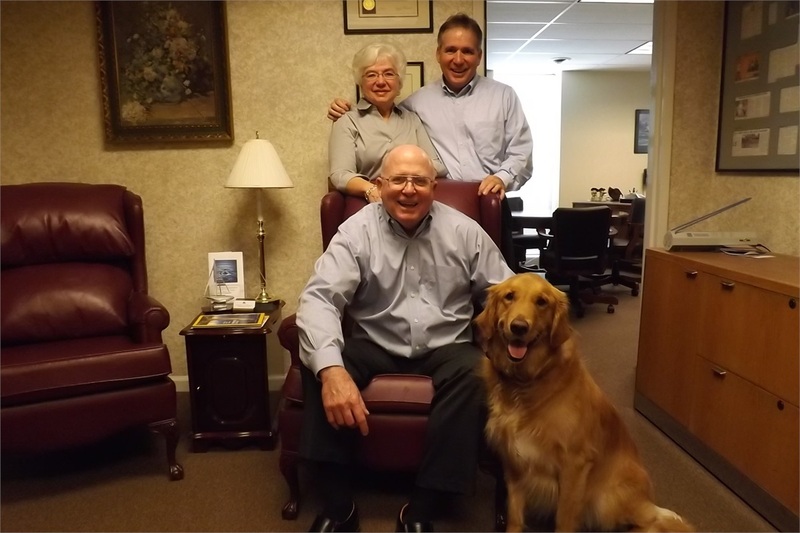 His wife of 53 years Dian, son Todd and golden retriever Callie greatly assist him. Todd is a Chartered Financial Consultant in practice with his father Randy for 23 years. He has conducted numerous classes at the Fawcett Center and other venues on retirement planning. Todd has also completed the curriculum prescribed by the Board of Directors of the Corporation of Long Term Care Certification and the National of Elder Law Attorneys and holds a Certified Fund Specialist designation through the Institute of Business and Finance. He and Denise, his wife of 32 years reside in Sunbury, OH. Dian is the foundation of the family owned business and makes sure that both Randy & Todd can find their keys, wallets, phones and cars in the parking lot. She and Todd both know what Randy is thinking, which Is a big help when his spasmodic dysphonia creates problems with his speech. A golden retriever bred for temperament and intelligence with an insatiable affection for Frisbees. Most of our clients prefer her and Dian over Randy & Todd. Advisory services offered through Cambridge Investment Research Advisors Inc., a Registered Investment Advisor. Registered Representatives, securities offered through Cambridge Investment Research, Inc., a Broker/Dealer, Member FINRA/SIPC.